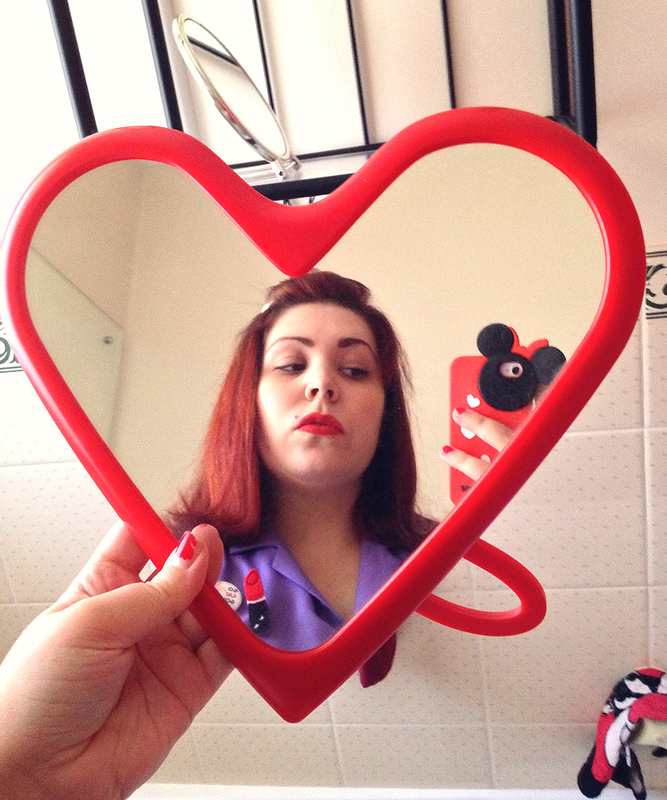 Today's post is brought to you by my iPhone and mirrors. Apologies for that! I wore this to uni yesterday and then to meet a friend for a drink after. 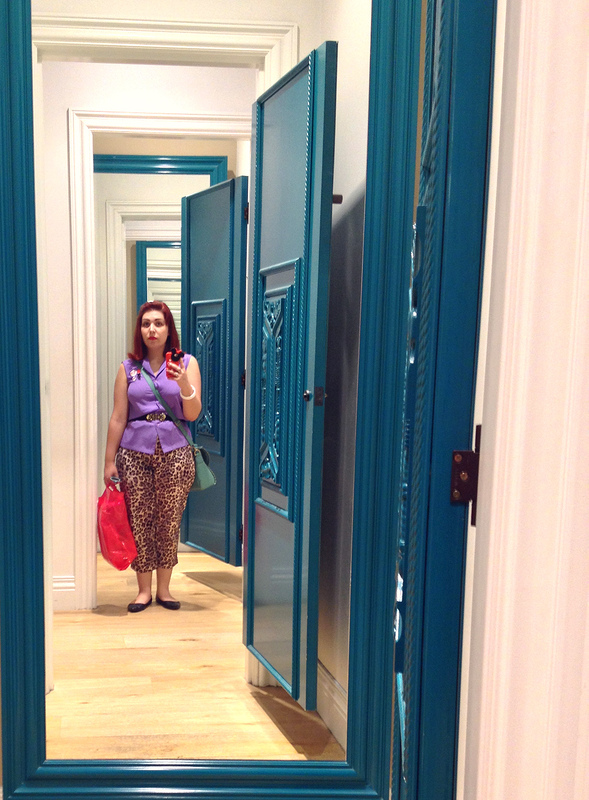 Took a changing room shot of myself whilst waiting for my friend. I've never been a big wearer of colours in the purple family but I love the colour of this blouse, especially with my leopard print pants. My accessories for the day. 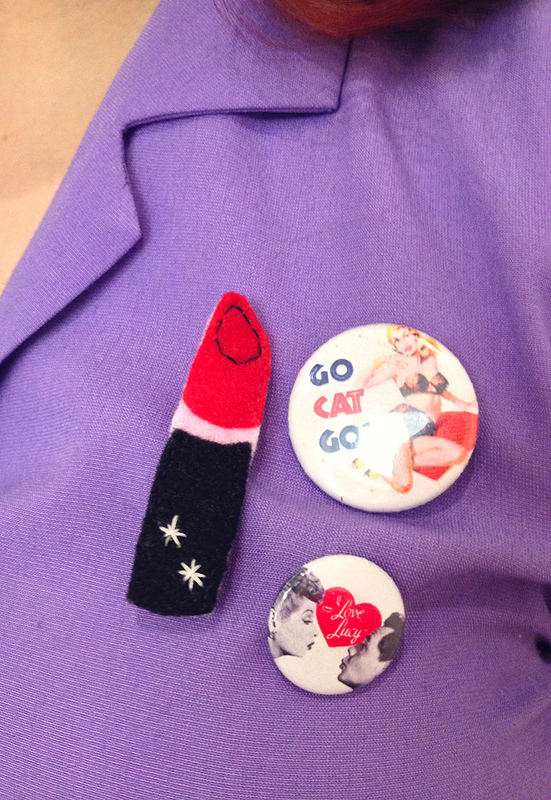 The lipstick brooch is from Modern Girl Blitz. The badges have been with me for years. Beetlejuice! Beetlejuice! Beetlejuice! 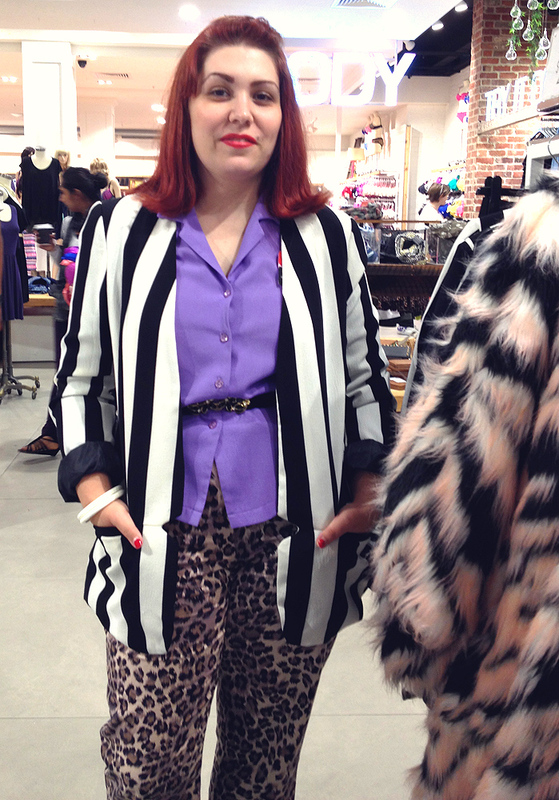 Still thinking about this Beetljuice-esque blazer that I didn't buy. After thinking about it, I guess leopard is basically a neutral, but I have never thought to put purples with it. That outfit is super cute though! 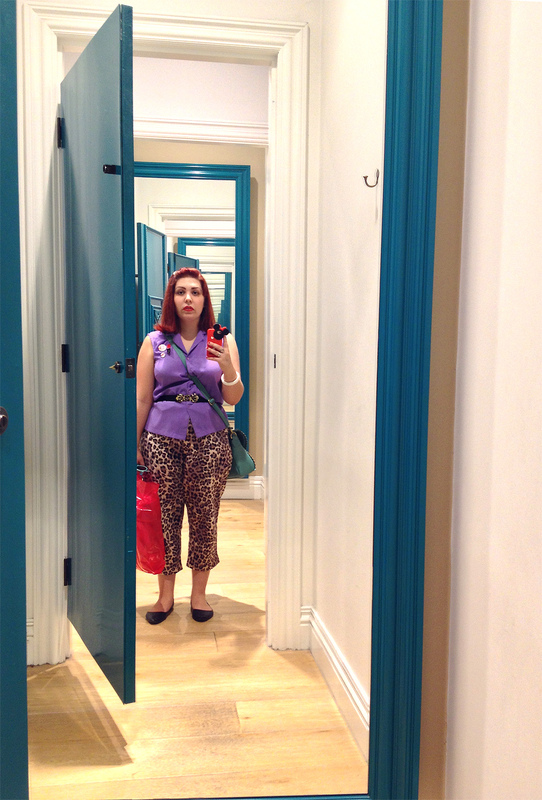 "Today's post is brought to you by my iPhone and mirrors." Love it! :) Nothing wrong with that in the slightest. You look fantastic, dear Andi - I don't think I've ever partnered leopard with purple before, but now you've got me hankering to give it a spin (soon), too. LOVING this whole outfit! I just adore your bold colors and prints. And your phone case is the cutest!